(TibetanReview.net, Jun04, 2018) – Tibet was not only a popular, even if underdog, wildcard entrant at the10-day London tournament being run by Conifa, the Confederation of Independent Football Associations, offering a platform for oppressed regions and unrecognised breakaway states rejected for membership by Fifa, but also a target of expulsion by China, revealed independent.co.uk Jun 2. Conifa has been running the World Football Cup roughly once every two years since 2013, but this year’s tournament is comfortably the biggest, with the participation of 16 best teams shortlisted from 47 members from around the world. But just having Tibet was enough to ruffle feathers. The report cited Paul Watson, Conifa’s director, as saying they had several international brands lined up to provide sponsorship into the six figures until, one by one and, he suggested, at China’s behest, they asked for Tibet to be kicked out. Eventually only Paddy Power remained as the main sponsor. Tibet was not the only team to come under opposition. The report cited the organisers as saying (Greek) Cypriot government had written to every council hosting matches – even those where Northern Cyprus were not scheduled to play – telling them they should withdraw from the tournament. 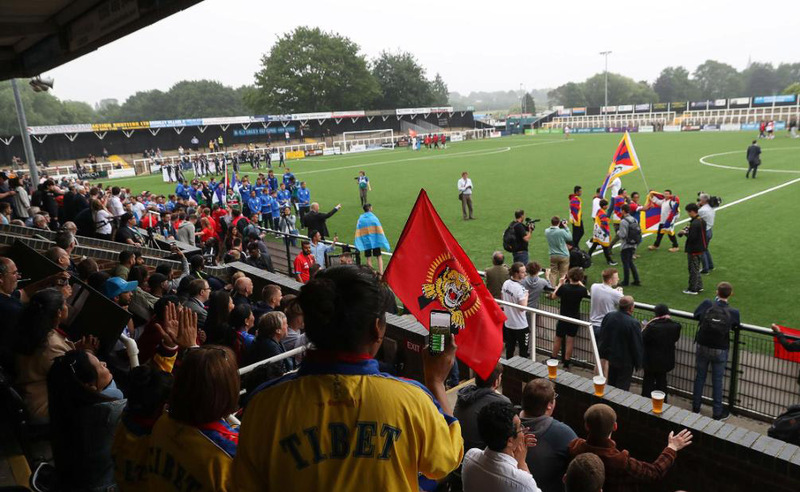 Tibet was beaten 3-0 in their and the tournament’s first match by the reigning 2016 champions Abkhazia, a Russia-backed disputed territory in northwestern Georgia, at Enfield Town’s Queen Elizabeth II Stadium. And they lost 1-3 to Northern Cyprus – the Turkish part of the island – in the second match on Jun 1. That ended Tibet’s chances of proceeding to the knockout stages of the cup, although they still had one more match to play – against Karpatalya, a Hungarian-speaking enclave of central Europe. That ended in a 1-5 loss to them. The Tibetans knew the odds for winning matches, leave alone the tournament, were stacked against them. Still they were exhilarated to be participating in the tournament, with the excitement undimmed by their losses.